Parents preparing to wean a child are faced with a multitude of questions; when is the best time to wean? How do I know my child is ready? What foods should I start them with? 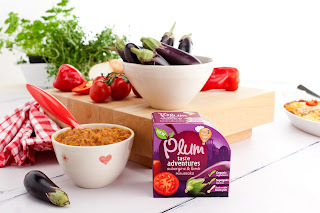 Plum baby invited us to a lovely event to find out more about their answers, and the products they have designed to make this taste adventure easier. They make food for a variety of stages, with your stage 1 first foods which are simple combinations to get baby used to having something more solid. Stage 2 is for babies 7+ months, and are fork mash texture, to get little jaws working in preparation for talking, and filling up little tummies with energy for mastering all those new skills. Stage 3, which Dylan is ready for now although it is aimed at babies 10 months + is about bigger and chunkier textures, and is a final stage before they are introduced to more 'adult' foods. Their new range of stage 3 meals are called 'taste adventures' as they are based on dishes from around the world, giving your child a varied yet balanced diet, and encouraging their taste buds to discover new flavours. 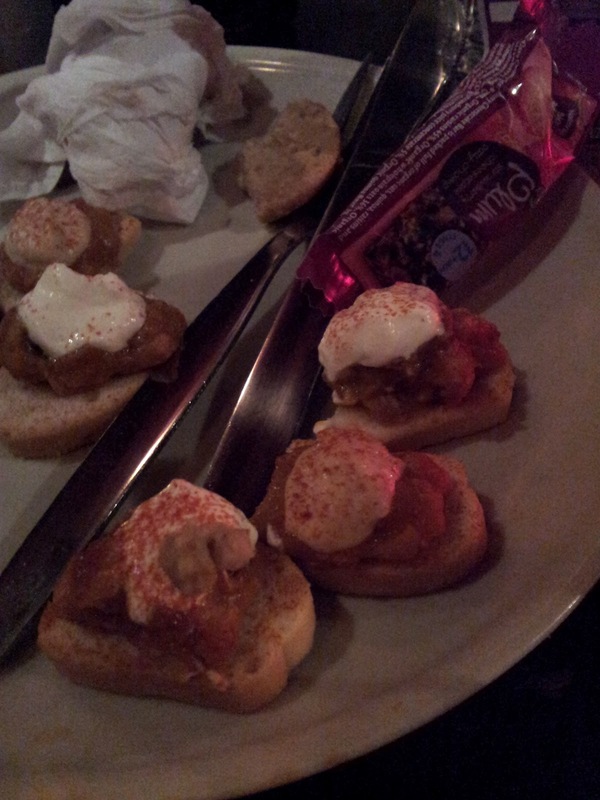 At the event, we were presented with some lovely little canapés, delicate little crisp breads with a meaty paste and light humus topping. They were passed around and consumed by the parents as the children ate the lovely snacks that Plum had provided them. We were later told that we had in fact been eating baby food! They made an excellent point, how can we expect our children to eat something that we would not? I try everything that Dylan eats, and we always try and go for the nice tasting purees (just in case he can't finish them!) The new taste adventures went down a treat with both parents and babies, as they genuinely taste like the dishes they claim to be. 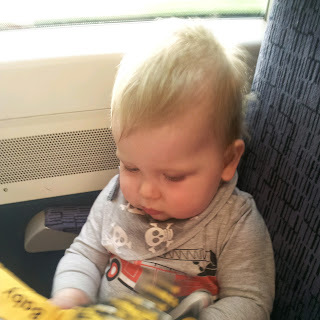 We had a lovely day out, and Dylan enjoyed playing with Oliver from Mum of three boys and Kai from Always a Mummy and we met lots of other lovely bloggers. After meeting his Aunty Nat for the afternoon he was very tired by the time we got on the train and chilled out with his books. Disclaimer: We were invited to a blogger event by Plum and provided with a goody bag to take home. All thoughts and opinions are my own, and we genuinely liked these products. Gosh woman, where do you find the time as you have been busy all day today aswell. Thank you for mentioning us and it was so nice to meet you both and Kai and Alwaysamum too. Wish I could've spoke to you both more but I had to rush back for the school run. Was lovely to meet you too. Oliver is such a cutie, can't believe he is so active as well! 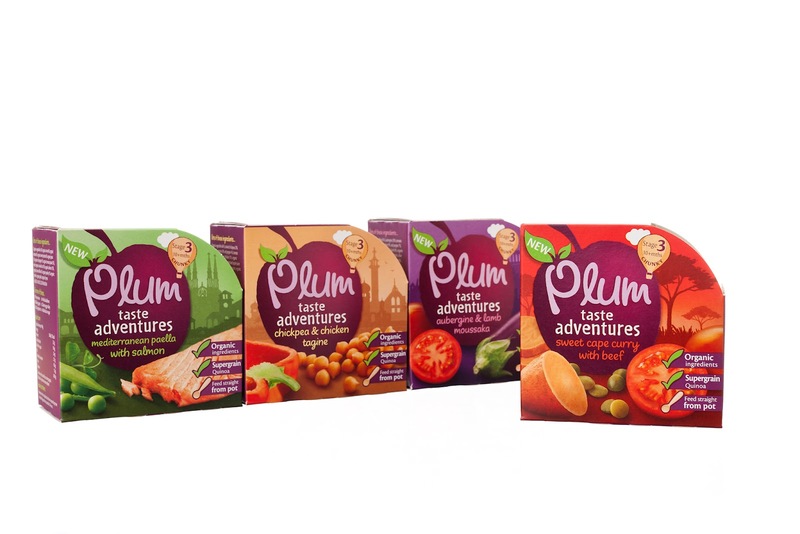 The baby food we tried at my baby shower was so revolting I vowed never to use it (changed my mind pretty soon after we started weaning though), but it seems if you get the right stuff it can actually be quite nice!